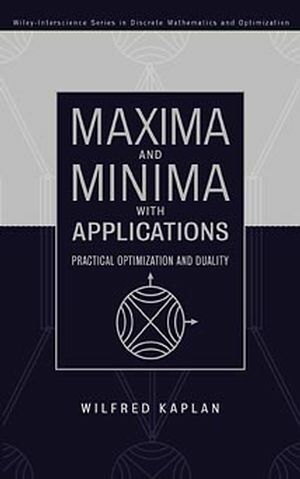 Maxima and Minima with Applications is an ideal text for upper-undergraduate and graduate students taking courses in operations research, management, general engineering, and applied mathematics. It can also be used to supplement courses on linear and nonlinear optimization. This volume's broad scope makes it an excellent reference for professionals wishing to learn more about cutting-edge topics in optimization and mathematical programming. WILFRED KAPLAN is Professor Emeritus in the Department of Mathematics at the University of Michigan in Ann Arbor. During 45 years of teaching and research, Professor Kaplan has written seven books, including the highly acclaimed Calculus and Linear Algebra, coauthored by Donald Lewis. Maxima and Minima in Analytic Geometry.